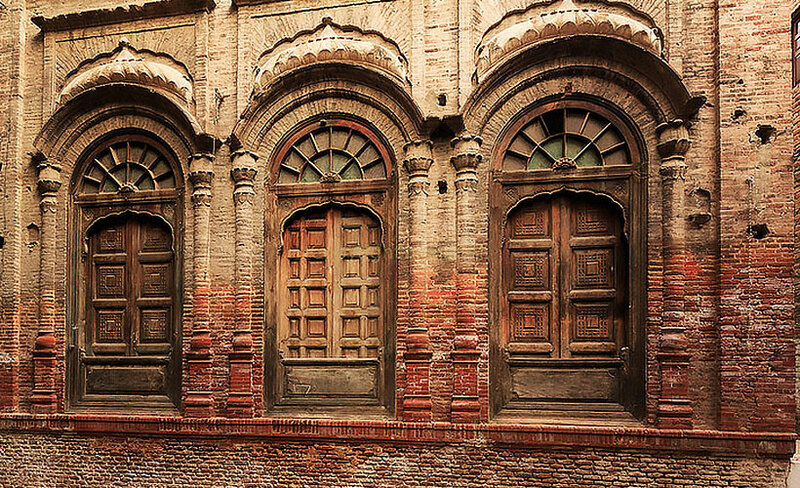 Much has been said and written about Lahore’s hospitality and alluring charm. Known as the cultural capital of Pakistan, Lahore is the kind of city that pulls you into a warm embrace, refusing to let go, shoving morsel upon morsel of delicious grub in your face (Lahoris take their food very seriously, but more on dining out later). Originally a walled city, Lahore in its present day form has opened up to gorgeous art fairs, theatre, heritage events, literary festivals, glitzy fashion weeks, a plethora of food and music festivals, awe-inspiring heritage sites and the prettiest ethnic jewellery you’ll ever get your hands on. In the city, you’ll also find an interesting blend of the old and the new, high-end brands and post-colonial buildings, Eastern classical jazz (yes, you read that right – Sachal Studios represents Lahore’s first-ever live jazz orchestra), fine dining restaurants and the tastiest street food picks found in every nook and cranny in the Old City’s winding streets. 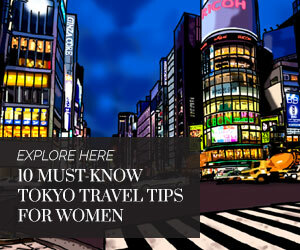 Make sure you book your ticket for either the fall or winter months – travelling here in the summer is a big no-no. May till August sees highs in the late 30oC. More than the soaring temperatures, it’s the incessant electricity load-shedding that will make you want to scream all the way back to the airport and hop on a plane back home. Even if you’re staying at a hotel, walking around the city outdoors is practically unbearable in the thick of a sweltering, claustrophobic summer. Besides, Lahore is prettiest in the winter with the daily average between 15 to 23oC October till March – so save your woolies, warm coats, boots and gloves for Lahore at its most beautiful. Let’s get one thing straight: Lahoris, quite literally, live to eat. 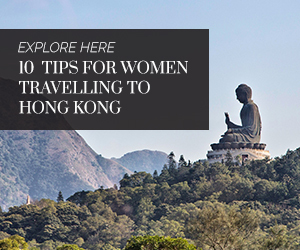 From fancy fine dining, to the most scrumptious street food delights – the city has it all. For breakfast, make sure you don’t miss out on halwa poori – a rich, gluttonous and utterly delicious Pakistani breakfast platter full of soft pooris (fried flour breads), a piping hot and spicy potato curry and also a mouth-watering chickpea curry. Other food spots to check out: Cruise through MM Alam Road in Gulberg for Pakistani, Chinese, Italian and continental cuisine, apart from a few fast food options. Pro-tip: make a pit stop at Khalifa Bakers. 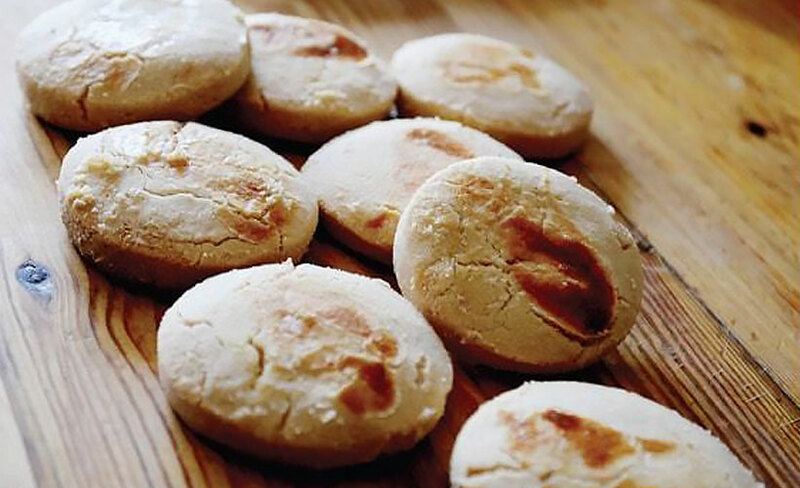 It’s Lahore’s most famous bakery, known for their melt-in-your-mouth, nutty nan khataai cookies best devoured with a mug of sweet tea. 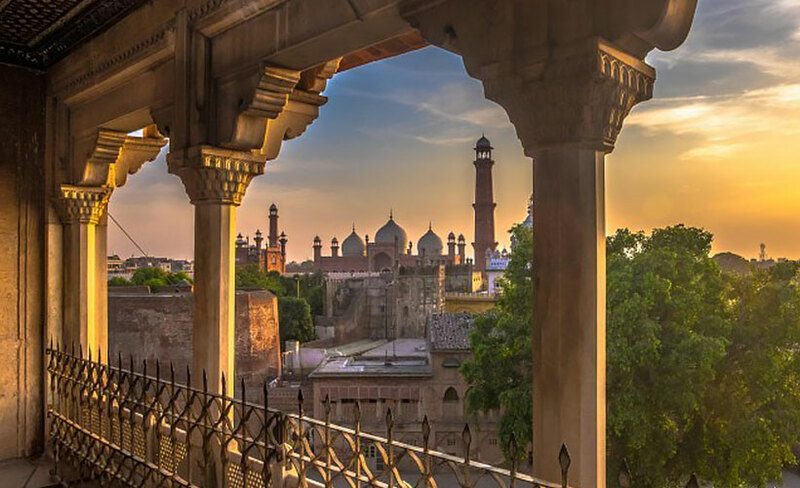 For an incredible view of the Old City, particularly the Lahore Fort and the Badshahi Mosque, dine out at Andaaz (preferably for dinner). While the food at Cuccoo’s Den restaurant (a stone’s throw away from Andaaz, on the same street) is nothing to write home about, do make sure you check it out – the space is jam-packed with utterly beautiful paintings, artifacts, ethnic art pieces and furniture; your Instagram followers will thank you. If you want to stay at a swanky, contemporary hotel, The Nishat Hotel is the place to check in to. It’s located in the heart of the city and is a stone’s throw away from a number of Lahore’s popular eateries and boutiques. On the other hand, there’s also good old Pearl Continental and Avari on Lahore’s glorious Mall Road; 5-star hotels that have been in the business for eons, so they are super dependable. Hostels may not have the amenities and security that you’d like, but you could luck out with a nice villa on Airbnb. If you can stay with a friend in Lahore to experience true Lahori culture, even better! Make sure you get a local SIM card (once you land at the airport) and immediately download the Careem app onto your phone. I’ve always been a big advocate of Careem because their drivers are polite and respectful (not to mention, most are decent drivers), and a far cry from some of the Uber horror stories going around. Careem started offering rides with women drivers in December 2016 as well. If you want my advice, only use Careem and a taxi service called Albayraq. Since the Metro is under construction (at time of writing), taxis will be your most reliable option. 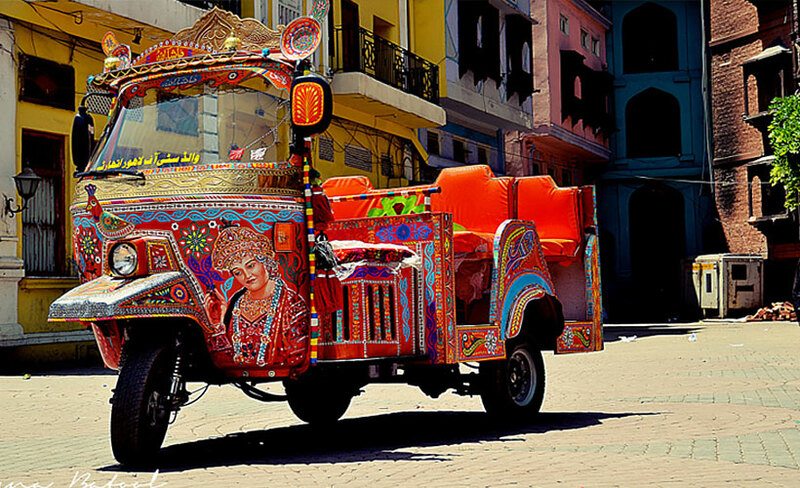 That being said, while sightseeing in the Old City, don’t forget to grab a colourful rangeela rickshaw. Though the rates are a bit high, it’s worth every rupee as the rickshaw-wallah will drive you around the Old City in a pimped-out ride, so you’re exploring Lahore in style! The list is endless, but let me try to whittle it down for you: the Lahore Fort, the Badshahi Mosque, the Wazir Khan Mosque, the Shahi Hammam, Jahangir’s Tomb, Minar-e-Pakistan, Bagh-e-Jinnah (in addition to the Quaid-e-Azam Library located in the same vicinity), Shalimar Gardens and more aren’t to be missed if you enjoy history and architecture. If you’d prefer to tag along with a local tour company, do check out The Mad Hatters and Turr Lahore. Also, if you have time, there’s a local tourism bus service, Sightseeing Lahore Bus Service that’s a bit more traditional. Apart from the city’s countless boutiques and shopping spots (peppered in and around Gulberg and DHA, primarily), spend one full day at Lahore’s Liberty Market. The rolls of loose fabric in every colour and type are practically unimaginable! Apart from fabric, Liberty Market is home to gorgeous shawls and stoles (if you’re visiting during the winter season), junk jewellery, lace and button shops, and lovely ethnic footwear. 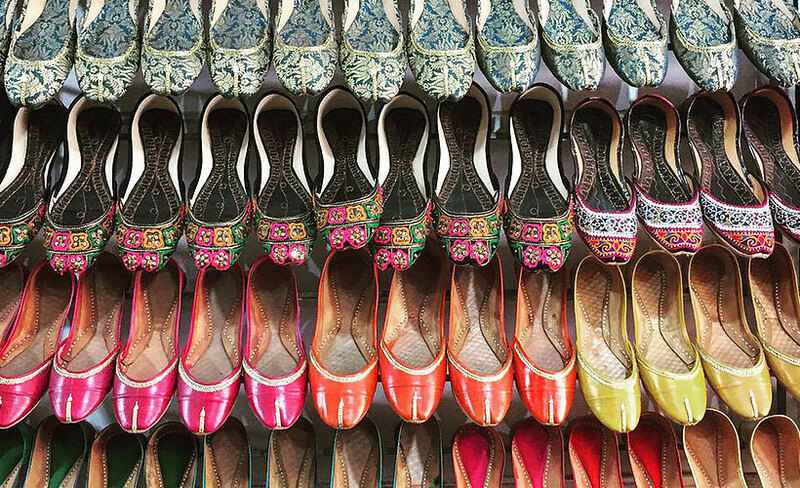 For shoes, stop by at Khussa Mahal for khussas (traditional closed shoes in leather and cloth), kolhapuris (traditional open footwear) and leather slippers. For pure silver jewellery and little jewelled trinkets to take back as gifts, check out Kabul Handicrafts (shop #162-G) at Liberty Market. If you can’t find it, ask any shopkeeper to direct you to the Afghan jeweller’s shop. Everyone knows who he is. Other must-visit shopping spots include: Auriga Complex, good old Anarkali and the Pakistan Handicrafts shop (on Davis Road) for pretty souvenirs and artsy bits and bobs for your home. Mall culture in Lahore has taken off in a big way, so if you’re keen to kill some time and splurge some cash while you’re at it, visit the Mall of Lahore, Packages Mall and Emporium Mall – three of the city’s coolest shopping centres that house a number of brands under one roof. To give you some perspective on what’s considered appropriate, it isn’t uncommon to wear Western apparel as long as you stay adequately covered. 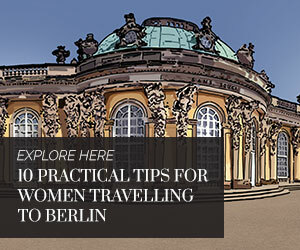 If you want to wear pants, pair it with a long tunic and a scarf/stole – particularly when you visit the Old City. They won’t allow you inside the Badshahi Mosque without your head suitably covered. When in Rome, do as the Romans do. And when in Lahore, enjoy Pakistani fashion! Lahoris are generally very friendly people, but set your boundaries as you go along. Stick to taxis for transport. For emergencies, keep these numbers handy: 15 (police emergency), 115 (ambulance). Sadly, the statistics do not favour Lahore as a safe destination for women. The last few years reflect growing crimes against women (not just mild disapproval or judgmental attitudes to be combated on a daily basis), but it seems like local authorities are cognizant of the problem and are trying to overcome it through apps such as Panic Button which may be worth downloading for a bit of reassurance, if nothing else. Liberty Books (at Packages Mall) and The Last Word have a wonderful, eclectic selection of new titles and numerous genres for you to pick from. So if you’re looking for a good book to keep you company on your flight back home, look no further. 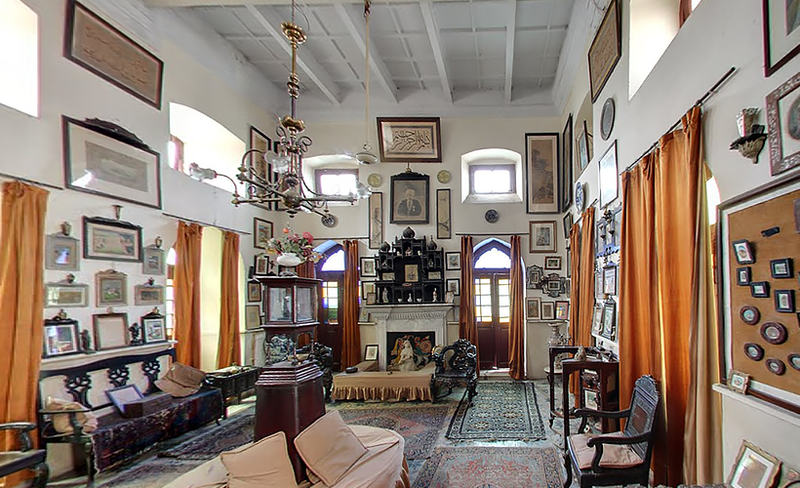 While you can’t quite give the Lahore Museum a miss, the Fakir Khana Museum is also a gleaming jewel set in the heart of the Old City that must be visited. Imagine, the space houses the largest personal collection (approximately 20,000 pieces of art) in all of South Asia! Once at the Old City, ask a local to direct you to Bazaar-e-Hakima (in Bhatti Gate). Once there, anyone will be able to lead you to the museum. But be warned: you may find it hard to leave! Born in Lahore, Sonya has been writing for over 15 years for a number of Pakistani and international publications. A Fulbright Scholar with an MS in Print Journalism from Columbia University, she is currently working on a manuscript for a children’s book.